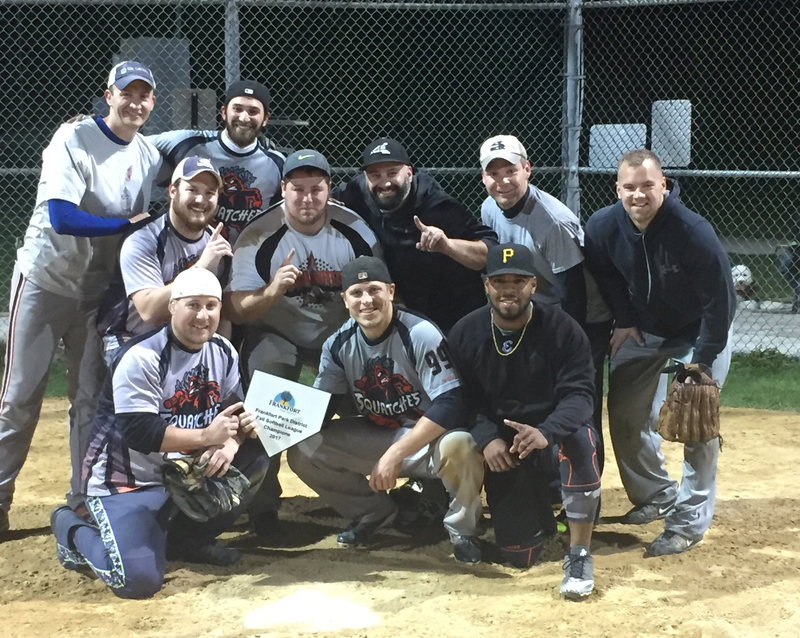 Get your team organized for a season full of fun and fitness on the softball diamond. The league will consist of two divisions with eight teams per division. Teams will play a fourteen game season with a single elimination tournament for the top four teams in each division at the end of the season. Division I will play on Tuesday nights and Division II will play on Wednesday nights. A trophy will be awarded to the tournament champion of each division. Cash prizes will be awarded to league champion and runner-up of each division. A non-refundable $250 deposit is required at registration to hold your spot in the league. The balance is to be paid by April 23rd to insure placement into the league. If the balance is not paid by April 23rd you will forfeit your spot in the league, NO exceptions will be made. Team packets, rules and softballs will be available on April 30th for pick-up at the Founders Center, 140 Oak Street. 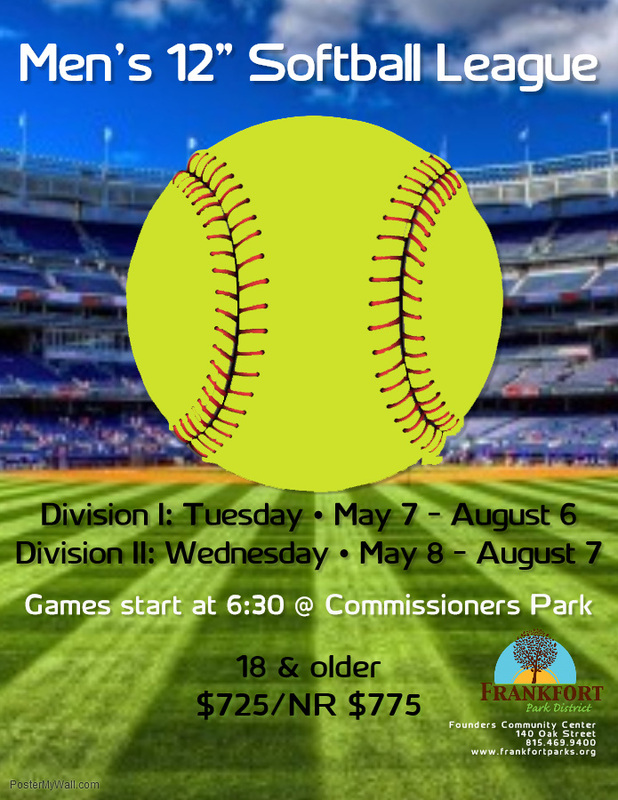 Text SS2019TUE to 84483 to receive Summer 2019 – Tuesday Night League alerts from Frankfort Park District. 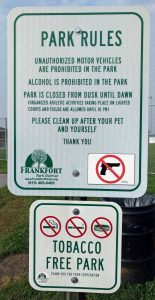 Text SS2019WED to 84483 to receive Summer 2019 – Wednesday Night League alerts from Frankfort Park District. Text FS2019WED to 84483 to receive Fall 2019 – Wednesday Night League alerts from Frankfort Park District. Click Here for the Tuesday, Spring 2019 Schedule. Click Here for the Wednesday, Spring 2019 Schedule. Click here for a complete listing of the Spring League Rules. Unauthorized motor vehicles are prohibited in the park. The use of all tobacco products are prohibited on all Park District property.